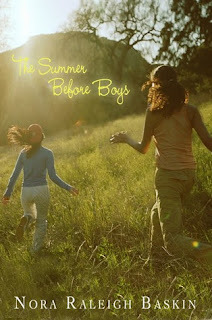 Goodreads says, "Lena has lived her whole life near the beach — walking for miles up and down the shore and breathing the salty air, swimming in the cold water, and watching the surfers rule the waves — the problem is, she’s spent her whole life just watching. As her sixteenth birthday approaches, Lena vows she will no longer watch from the sand: she will learn to surf. But her father — a former surfer himself — refuses to allow her to take lessons. After his near drowning years ago, he can’t bear to let Lena take up the risky sport. Yet something keeps drawing Lena to the water . . . an ancient, powerful magic. And one morning Lena catches sight of this magic: a beautiful woman — with a silvery tail. Now nothing can stop Lena from seeking the mermaid, not even the dangerous waves at Magic Crescent Cove. And soon . 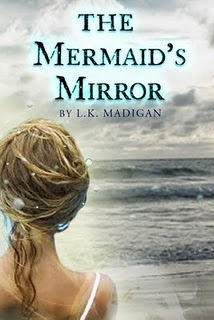 . . what she sees in the mermaid’s mirror will change her life forever." 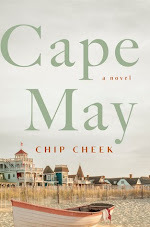 *I received this ARC through Book It Forward Tours. I am excited to read this! Time travel, pirates, and romance? Yes, please! Goodreads says, "Sixteen-year-old Jill has fought in dozens of fencing tournaments, but she has never held a sharpened blade. When she finds a corroded sword piece on a Caribbean beach, she is instantly intrigued and pockets it as her own personal treasure. The broken tip holds secrets, though, and it transports Jill through time to the deck of a pirate ship. Stranded in the past and surrounded by strangers, she is forced to sign on as crew. But a pirate's life is bloody and brief, and as Jill learns about the dark magic that brought her there, she forms a desperate scheme to get home—one that risks everything in a duel to the death with a villainous pirate captain." *Thanks to Anne from Authors On The Web for sending me this book to review. It looks like the perfect summer read. 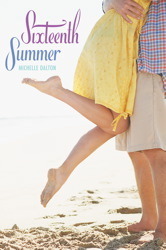 In fact, if you'd like to win a copy, check out my giveaway! Great list this week! 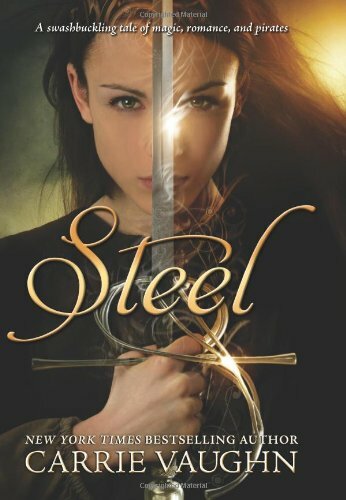 I want to read Steel really badly! Yah! Gone with a Handsomer Man! I will be looking forward to that review. I really want to read The Mermaid's Mirror. It is so sad that L.K. Madigan is no longer with us. Great list! 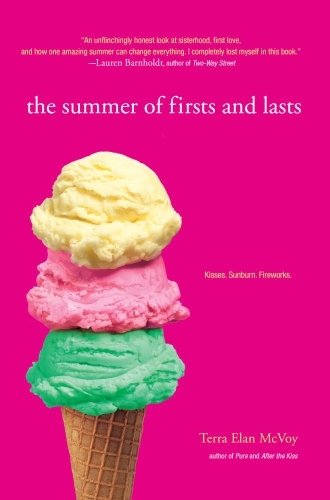 I also want to read Steel and The Summer of Firsts and Lasts. I hope that Gone With a Handsomer Man will be as fun as it promises to be. I am really excited to hear what you think about Steel. I have been wanting to read it for quite a while! Great books this week! Oh yay Steel! I haven't read very many reviews for that one but it's one I'm really looking forward to so I can't wait for your thoughts. 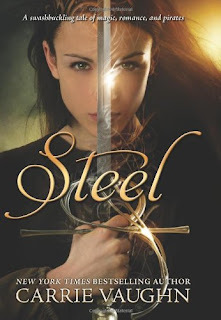 I haven't read anything by Carrie Vaughn and I think Steel might be a good place to start! Great IMM! I can't wait to read Steel! I hope it's awesome! Enjoy! 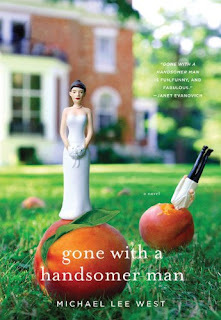 I love the cover for Gone with a Handsome Man. That is too cute! AH you got Steel! Great books! I've been wanting to pick up a mermaid book and I think I'll have to try that one! It sounds really good! You got some great books this week! Great books! I'd never heard of Steel but it looks so awesome. Can't wait to here what you think of it! Gone with a Handsomer Man looks fun! What a wonderful selection of reads you have. I'm just as keen to read The Mermaid's Mirror - love all kidns of mythical sea creatures, especially if it has to do with mermaids! Hope you enjoy all of your reads. Great books this week. Really really want Steel. Summer books - yay! I am DYING to read Steel--I can't wait to hear what you think. I thik your books would be great for relaxing by the pool on a warm summer day! Enjoy! You have a great blog! I am looking forward to reading Steel. Can't wait for your review. I can't wait to read Steel! 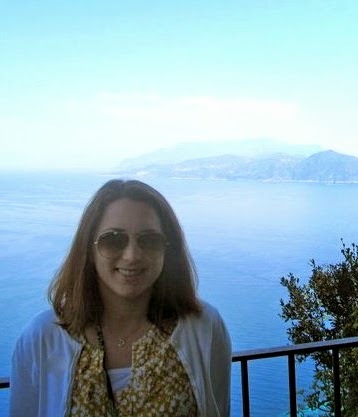 I love a good pirate adventure! I've got The Mermaid's Mirror and Steel in my TBR pile as well. I can't wait for them. Happy reading! Great mailbox, but such a sad occurance with the first book.